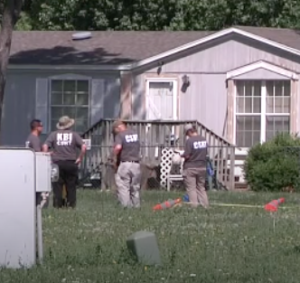 MCPHERSON, Kan. — Law enforcement authorities are investigating a murder in McPherson and have made an arrest. Just after 12:25 a.m. Monday, police were dispatched to the Mustang Mobile Home Park on the report of gunshots being fired. When they arrived on the scene, officers located the body of 22-year-old Jordan Krell who was unconscious, unresponsive and had suffered apparent gunshot wounds, according to a media release. His body was found in an empty lot and he was pronounced dead at the scene. Police say they arrested a 17-year-old juvenile for the murder. The juvenile faces possible charges of 1st-degree murder, burglary, theft, and possession of stolen property. The Kansas Bureau of Investigation is assisting with the investigation. Anyone with information is asked to call McPherson Police at 620-245-1200, or McPherson Crime Stoppers at 620-241-1122.